Netsonic is a privately owned and operated company located in Green Bay, Wisconsin. Since our founding in 1996, we have been providing flexible web hosting solutions to small and midsized businesses worldwide. We are the largest independently owned datacenter in the Northeast Wisconsin area. 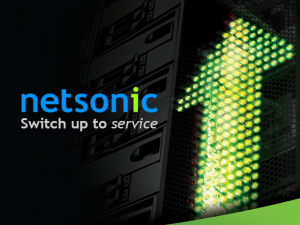 Netsonic has a fully redundant (n+1) controlled datacenter supplying network connections, high bandwidth speeds, regulated power, security and support, with internet gigabit connections to AT&T and Time Warner. Our expert technicians who monitor and maintain continuous, uninterrupted service and support, staff our Green Bay, Wisconsin datacenter facility. For more than 18 years, customers around the world have relied on Netsonic to provide affordable and easy-to-use hosting solutions. The dedicated team at Netsonic puts the focus on their customers’ business needs by offering 24/7 customer service and support. Find out more by visiting http://www.netsonic.net.